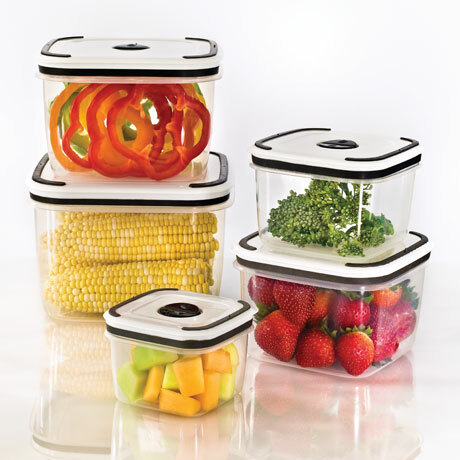 Our containers feature lids with snap-open vents for use in the microwave. Innovative, safe and convenient. Stain resistant and will not react with foods. Will not absorb food odors. Containers keep your food fresh. See-thru with designer white lids with black accent.